Respiratory stress is a common fact of life for the modern horse. Stabling, forage and indoor schools can all harbour dust and fungal spores which accumulate in and irritate the sensitive lining of the lungs and respiratory tract. In the wild, horses had free access to a wide range of herbs, shrubs and trees that they could self select to meet their requirements. With the limited species variation in modern pasture, this is no longer possible. Easy Breathing is designed to improve the diet by re-introducing natural herbal variation in order to support lung health. Easy Breathing includes althea, garlic and aniseed, all well known for their traditional roles in a healthy respiratory system. 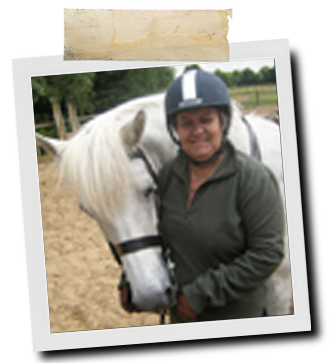 Easy Breathing is suitable for the maintenance of healthy lungs in all horses and ponies. For optimum lung function see Respirator Boost and Respirator. Marshmallow leaves, Anise seed, Garlic (dried), Common nettle, Barberry bark, Gingko leaves, Rapeseed oil, Ginger. Drumpack Dakota (Indie) owned and ridden by Mandy La-Four Before Mandy purchased Indie to help with her rehabilitation following a triple heart bypass. However, Mandy soon noticed that Indie was quite thick in his wind. After Says Mandy, "I tried Easy Breathing after seeing an advert in Absolute Horse Magazine and since feeding it the difference is evident. Thank you NAF!"